San Churro is famous of it's delectable churros and chocolates, but it's also home of a pretty fine coffee too. If you're a regular of the hot beverages at San Churro, you need to grab yourself a coffee reward card, that will earn you a free coffee and extra rewards. 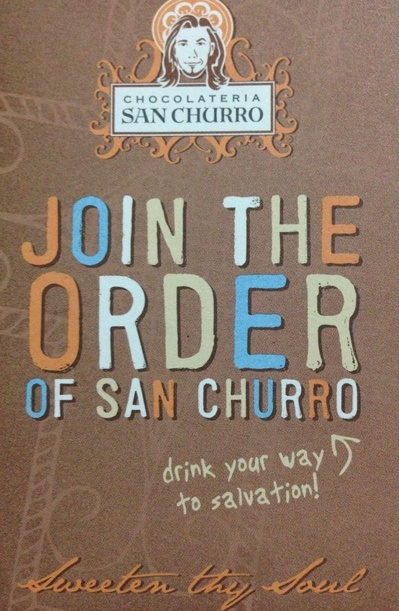 When you are next in San Churro, ask for a coffee reward card, and you'll be given a loyalty card that will be stamped every time you order a hot beverage. 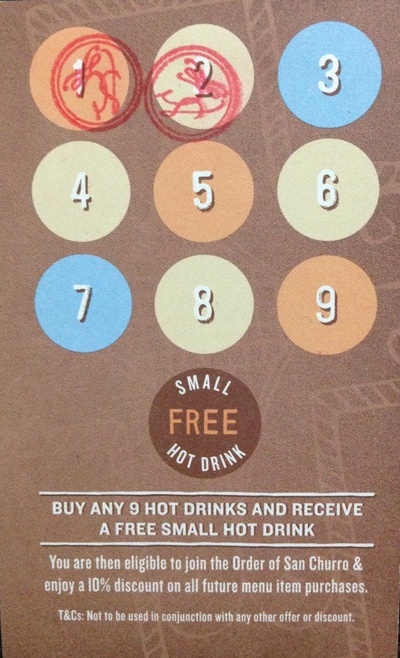 After 9 stamps, your 10th hot drink is free. Not only that, but once you have your 10 stamps, you're then also eligible to join the Order of San Churro where you'll then be eligible to enjoy a 10% discount on all of your future purchases off the menu. In addition to the free coffee, 10% discount, San Churro will also keep you up to date with special offers and discount vouchers. All part of being a secret member of the Order of San Churro.